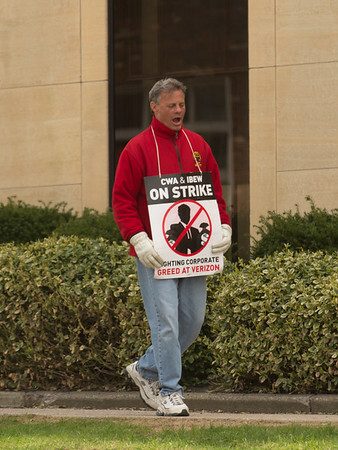 JOED VIERA/STAFF PHOTOGRAPHER- Lockport, NY- A CWA member yawns as he pickets outside of the Verizon building on Walnut Street. Wednesday marks the begining of the third week the union has been on strike. Reportedly close to 800 Western New York workers have been out of work since the strike began on April 13.